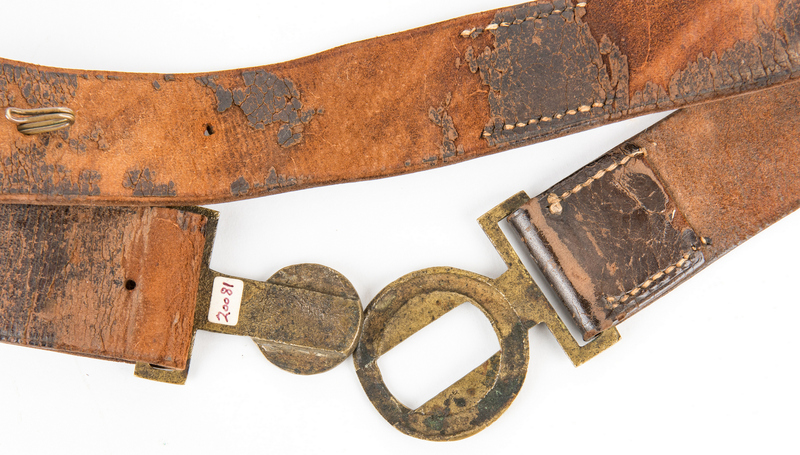 Confederate Leech & Rigdon waist belt plate on original leather sword belt. 2-piece sand cast brass plain tongue plate, oak leaf wreath with embossed Leech & Rigdon "reverse L" patterns, top and bottom center. Includes original receipt and documentation from Shannon Pritchard, Old South Military Antiques. Plate approximately 50 mm x 91 mm (1.97" x 3.58"). Wreath height Ð 49 mm (1.93"). Belt length approximately 30". Provenance: Purchased from Shannon Pritchard, Old South Military Antiques. Estate of Jim Maconkey, Landrum, SC. Note: See "Confederate Belt Buckles and Plates" by Steve E. Mullinax, 1999, page 35. CONDITION: Overall very good condition. 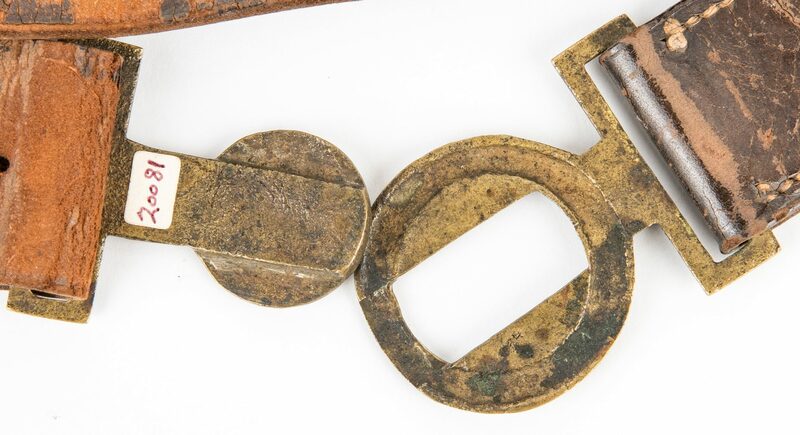 Areas of tarnish to brass buckle. Missing hangers.